Location: Ballyhoura Mountains in County Cork, Ireland. 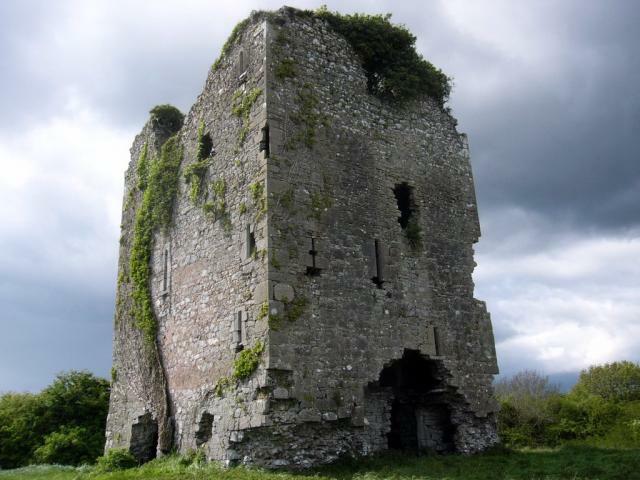 Notes: Castlepook or Castle Pook is a Norman style castle built in 1380 by the Synan family. The castle stands at a few miles north of Doneraile, in the foothills of the Ballyhoura Mountains in County Cork, Ireland. Castlepook is made of limestone, with a stone vaulted roof which is still intact. There was once a spiral staircase made of stone in the southwest corner. Much of the smooth stone (such as was used for the stairs and window / door frames) has been removed by vandals..